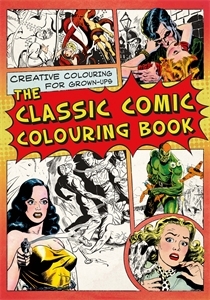 From superheroes to aliens and romantic heroes to monsters, the classic comics found in this colouring book will capture your soul and release your inner creative. Bursting with fantastic images from vintage comic books of the 1950s, this book pays homage to a great period of comic illustration. From action and adventure, to horror, science fiction and romance, a huge range of classic comic designs are included. With over 100 vintage comic covers, you can enjoy hours of fun and relaxation making your own classic comic come to life in glorious colour.